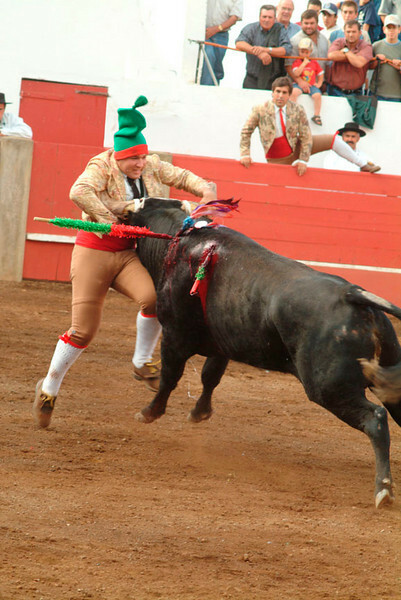 In Portuguese bullfighting, specially trained bullfighters called Forcados will attempt to wrestle the bull to a standstill with no weapons at all. The leader of the Forcados wears the traditional green and red hat. After the leader takes the initial charge, several other Forcados will assist him.